Yesterday I and my cousins and of course with my uncle and aunty went to see a movie called Alita. At first I was reluctant to go as I was a bit sleepy. My cousin, Ciara persuaded my to go saying that it will be fun watching the movie with my other cousins, Isabelle, Amber, Ethan and Abner. In the end, I agreed. My mum gave me RM20.00 to buy popcorn and drinks. My uncle will be buying tickets for us. I don't want to be a spoiler but just a little bit about the movie. 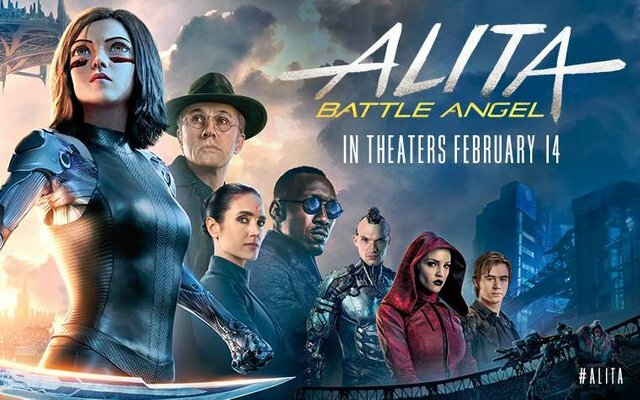 Alita is about a girl awakens with no memory of who she is in a future world. She when through adventures to discover her real identity. The movie is based on the "Manga" series "GUNNM" by Yukito Kishiro. I really enjoyed the two-hour movie. Overall, I think the movie is worth watching and may be deserved to be nominated for Best Visual Effects. I want to watch it. Maybe next week.